Here’s a quick guide to help maximize your enjoyment while backpacking Washington's stunning Enchantment Lakes. 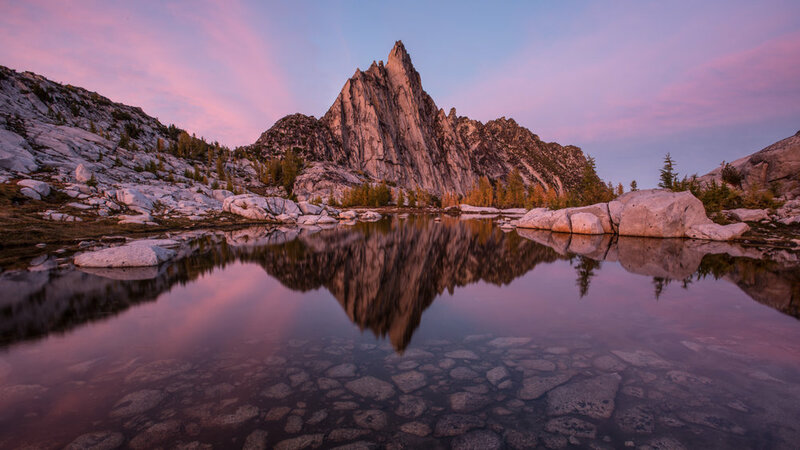 The Enchantment Lakes are among the most well-traveled sites in the Northwest, and for good reason. Because of their popularity, there is a strict permit process in place to limit impact and keep the area pristine for many years to come. Permits need to be obtained for all overnight camping trips from May 15th to October 31th. Permit applications are not necessary for day hikes and trips outside of that timeframe - day hikers can just fill out the free permit form at the trailhead. Overnight permits for the May 15th through October 31st timeframe are awarded in a permit lottery, which takes place during February & March every year. A three or four night stay is generally considered a good amount of time to see the entire area. When you apply for a permit you’ll put in your top three choices of 5 different camping zones. 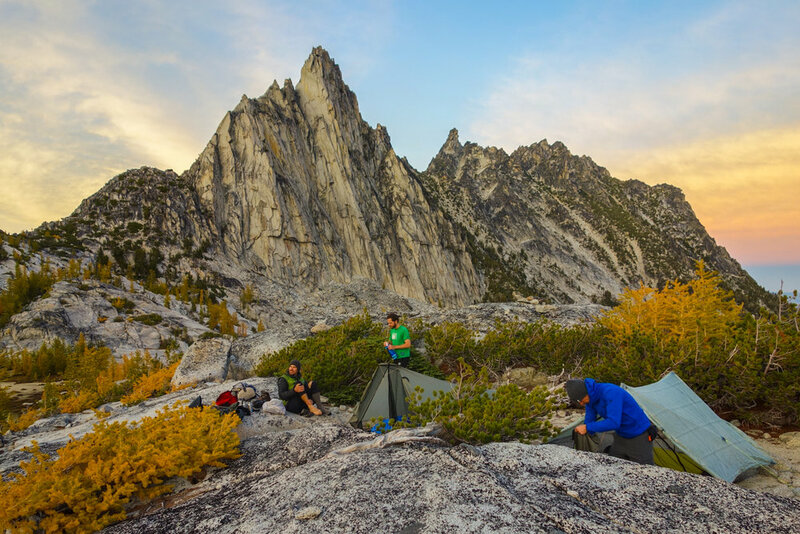 The Core Enchantments Zone permit is the best because it will allow you to camp in any of the permit zones. The Snow Lakes and Colchuck Lakes zones are the next most popular option because they are adjacent to the Core Zone. 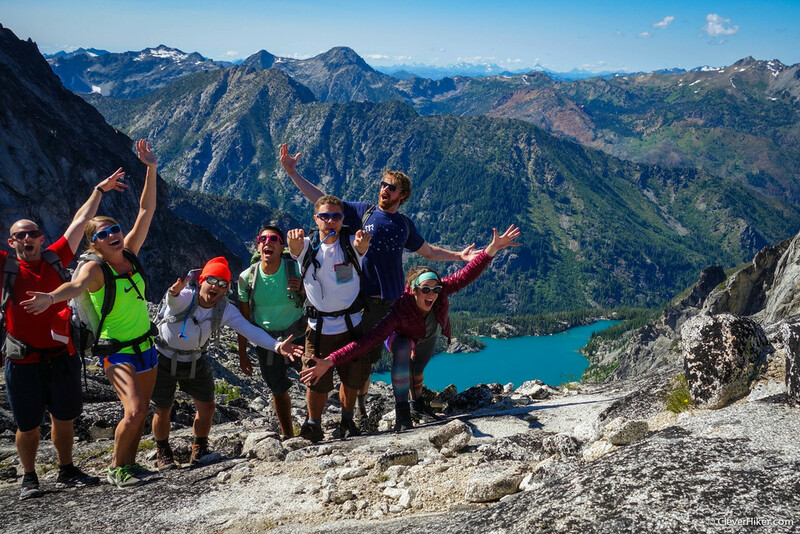 Obtaining one of those two permits will allow hikers to day trip up into the Core Zone and return to their camps at Colchuck Lake or Snow Lake. The permit process sounds like a terrible hassle, but it’s really not that bad. If you get picked for a permit, you simply print it out and bring it with you on the trail. The Permit timeframe, May 15th – October 31st, is a good time to travel to this area. August is the most popular travel month and Thursdays through Sundays tend to be the most popular travel days. For that reason, weekend trips in August will be the most difficult permits to secure. 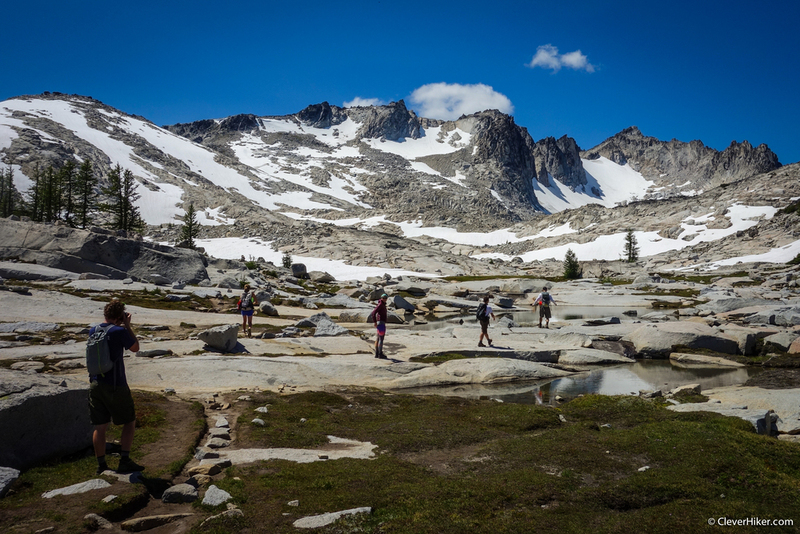 It’s likely that there will be snow on the trail – especially in the Core Zone – during May, June and possibly July. Late autumn is a good time to see the larch trees change color in this area, but be prepared for the possibility of late season snowstorms. This trip has a high difficulty rating. Difficulty will obviously depend on your experience level, your fitness level, and how heavy your pack is. If you want to travel to the Core Enchantment Zone (which you do), you will have a big climb to get there no matter what. So do yourself a favor and pack light. For lightweight hiking tips and gear recommendations, check out my Lightweight Basics Video Series and Gear Guide. The entire trail from the Stuart Lake trailhead to the Snow Lakes trailhead is about 19 miles. Some hikers leave a car at both trailheads and hike from one end to the other. If this is your goal, the most popular route is to hike from the Stuart Lake Trailhead (Colchuck Zone) to the Snow Lakes Trailhead (Snow Zone) due to the elevation profile of the area. Another popular option is to setup a base camp at Upper Snow Lake or Colchuck Lake. Then you can take a steep day hike up into the Core Zone and return back to your camp at night. 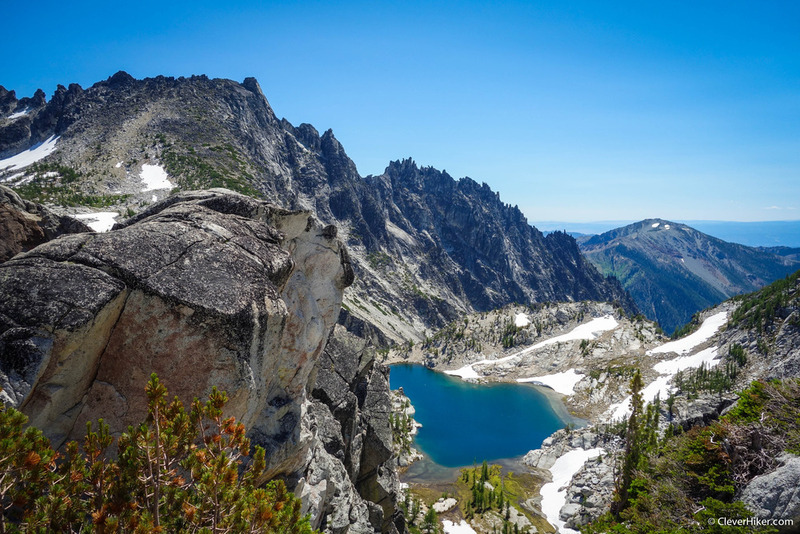 The Core Enchantments zone is where the real jaw-dropping beauty happens. To get to the Core Zone you're going have a big climb no matter how you slice it. Aasgard Pass (7841 ft) – the highest point on the trail - is roughly 6,500 feet above the Snow Lakes Trailhead and 4,400 feet above the Stuart Lake Trailhead. Entering from the Snow Lakes trailhead will provide a more gradual ascent. Entering from the Stuart Lake trailhead will provide a very steep (but shorter) ascent from Colchuck Lake up to Aasgard Pass. This is my personal summary of the regulations for this area. 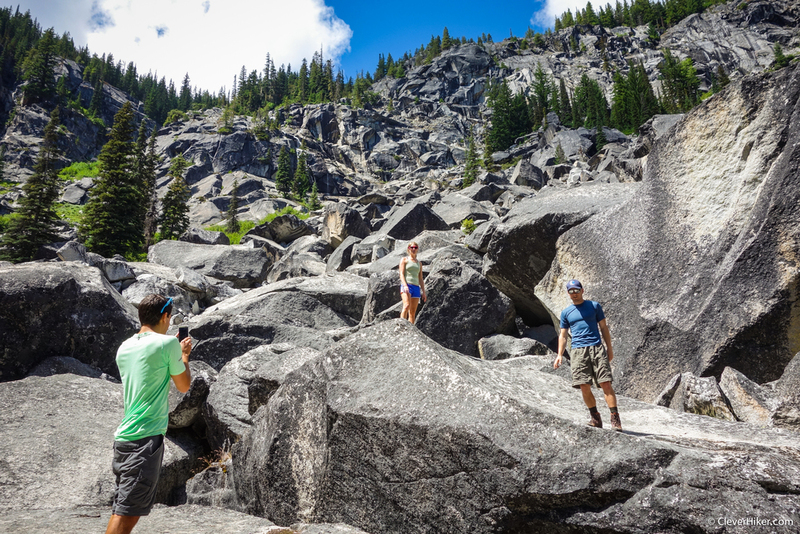 Please visit the forest service's Enchantment Lakes Regulations Page for the official rules. If the trails are free of snow, navigation should be easy along the well maintained trails in this area. Some trails in the Core Enchantment Zone are slightly tough to follow because of all the granite, but if you look out for rock cairns you'll be good to go. Water is plentiful along this trail and is generally easily accessible. Carry plenty of water to get from one source to the next and a lightweight water purifier. My current favorite is the SteriPEN Ultra. There aren't any specific food storage regulations in this area, but you should make sure to protect your food. There are bears in these woods, but you're far more likely to be harassed by nighttime rodents and goats looking to get an easy meal. Do not feed any wildlife - voluntarily or involuntary. Protect your food. Learn how to hang a proper bear bag or carry a food storage container. Bear Canisters and Ursacks are the most effective and easy storage methods. TENT: We used the MSR Hubba Hubba NX tent on this trip. We love its combination of low weight and livability and that's why it's one of our top picks on our best lightweight backpacking tents list. 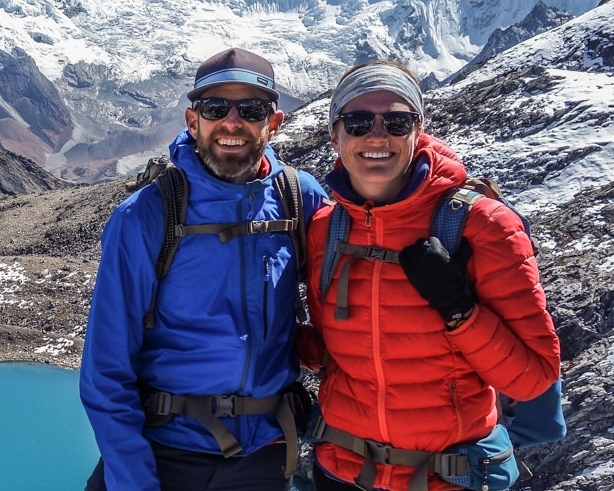 BACKPACK: We used Gossamer Gear Mariposa 60 backpacks on this trek. They're lightweight, convenient, comfortable, and make our list of the best lightweight backpacking packs. SLEEPING PAD: We both used the Therm-a-Rest NeoAir XLite sleeping pad on this trip. They're light, comfortable, warm, and make our list of the best backpacking sleeping pads. 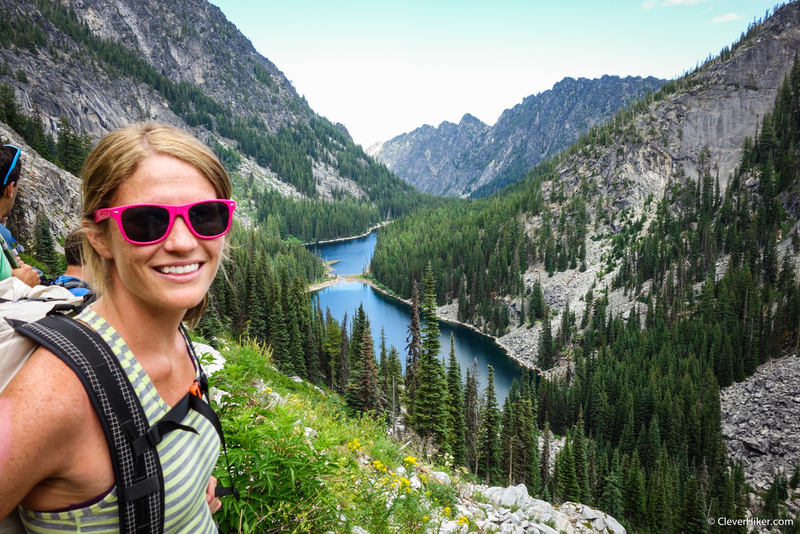 FOOD: When backpacking in the Enchantments you'll have to carry in all your food. For some suggestions on common backpacking food options, check out our backpacking food video. FOOD STORAGE: For this trip, we brought an Ursack, to keep the critters out of our food. 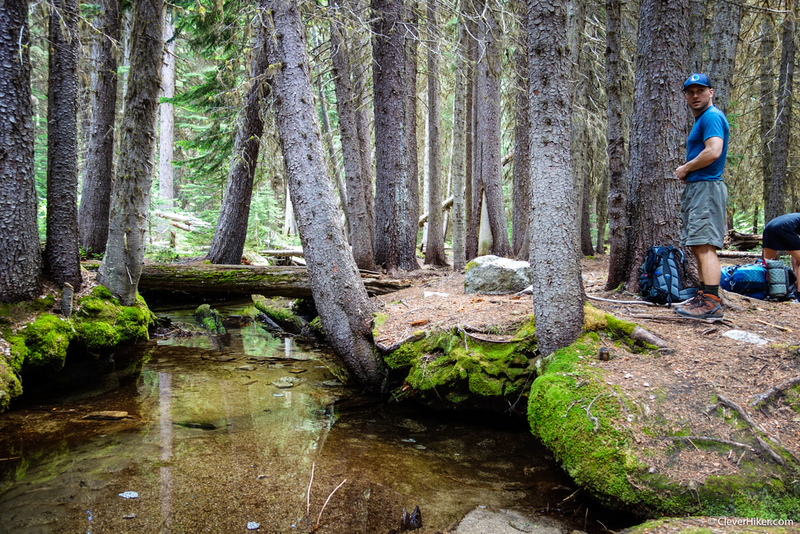 There are no food storage requirements for this area, but you should always store your food properly in the backcountry. Bear canisters and Ursacks are the most effective storage methods and the easiest to use. MAP & COMPASS: We brought the Green Trails Enchantments Map 209s and found it to be incredibly helpful and necessary. In addition, we always hike with a compass. 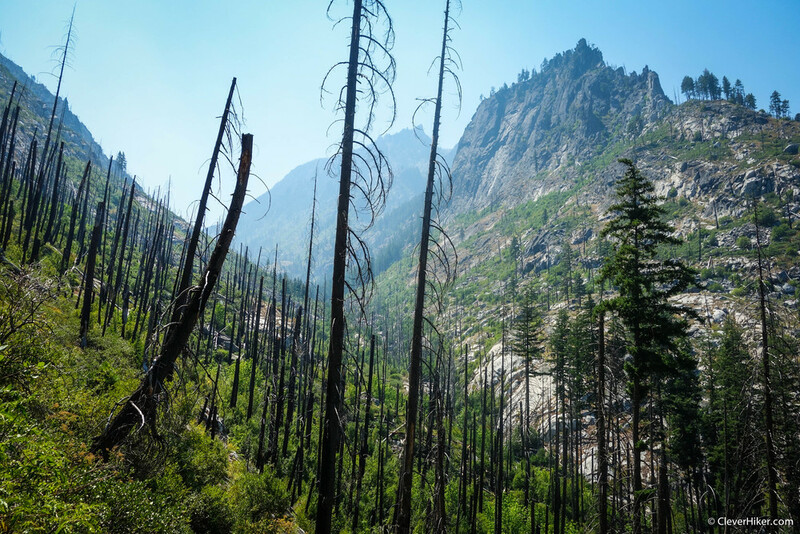 The Enchantments are just outside of Leavenworth, Washington. The drive time from Seattle is about 2.5 hours and the drive time from Portland is about 5 hours. From Seattle you'll take highway 2 to Leavenworth and from Portland you'll follow 97 to Leavenworth. Icicle Creek Road is on the western edge of the small town and the Snow Lakes Trailhead is about a ten minute drive once you make the turn onto Icicle Creek. For the Stuart Lake Trailhead (an additional 15 minute drive), continue down Icicle Creek until you hit road 7601. Take a left on 7601 and follow it past the first trailhead (Eightmile Trailhead) to the Stuart Lake Trailhead. If you only have one car and you're looking for a shuttle service, check out Loop Connector.